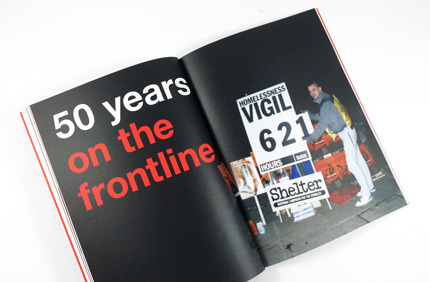 We are very proud to have been chosen to print this prestigious book celebrating 50 years of the wonderful Shelter Housing. 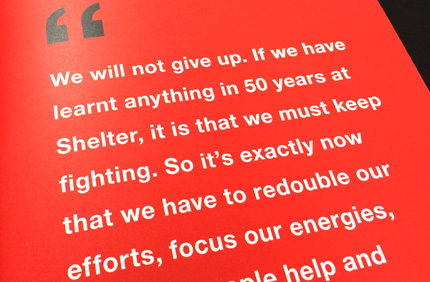 Having printed for Shelter before their marketing team contacted Ex Why Zed for an initial set of quotes which were refined down to a bespoke size slightly smaller than A4. 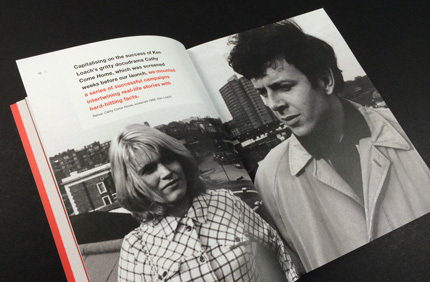 Uncoated stock was chosen throughout because of its archival quality and it fitted the subject matter more than a shiny, sleek silk paper. With such importance placed on this project there were a lot of people who had a vested interest in ensuring it was a publication befitting of their 50 year celebration. 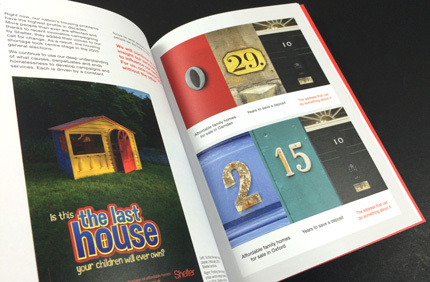 To ensure the Shelter team were happy with the choice of papers and colour reproduction we ran a hard copy proof for final sign off by their stake holders. 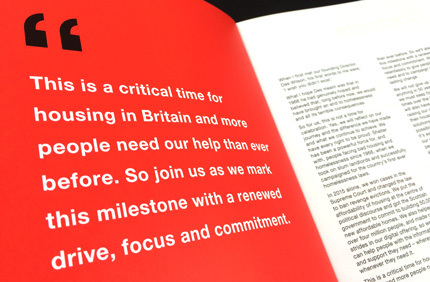 On approval we then set the wheels in motion on the final print run and printed, bound and delivered the finished books within 3 working days. 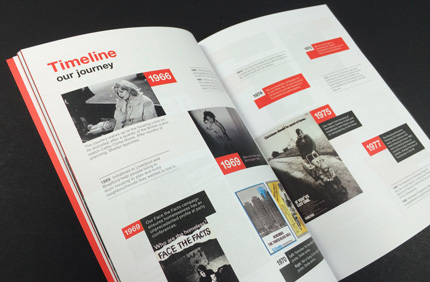 The book depicts a timeline of the charity’s history including a fine selection of photos carefully curated from their archive library all printed on our Indigo digital presses.